These beautiful earrings are inspired by the southwest... I love the design of the Native American Dreamcatcher so I turned the idea into wearable earrings! You will love the lightweight feel of these amazing earrings! 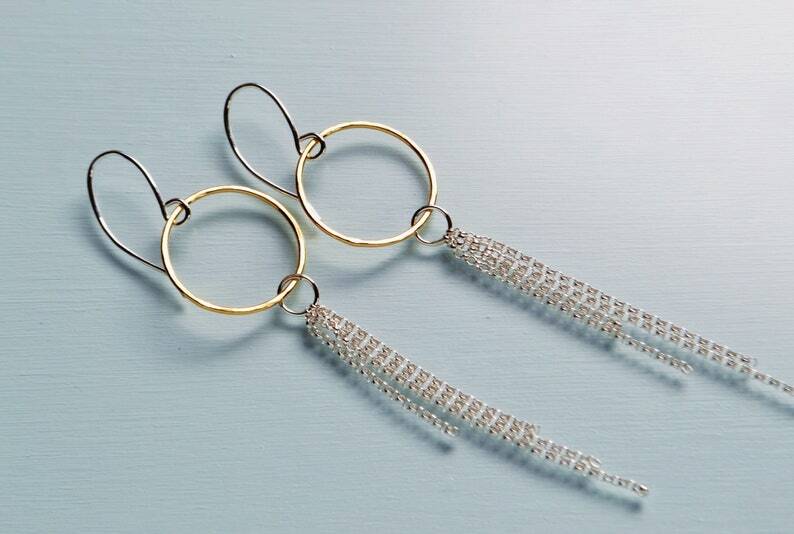 They chain flows beautifully and falls just above your shoulders... the perfect pair of shoulder duster earrings. The circles are 3/4" wide and the earrings fall 2 1/2" in length... see photo for reference. Your Shoulder Duster earrings will arrive wrapped in a gift bag and come with a polishing cloth.